Everybody wants their website to rank on the first page of search results, just like everybody wants a front row seat at the Super Bowl. But the reality is, not everyone can afford to cheer on their team in person, and search engines can accommodate only a limited number of websites on the first page. It is possible, however, to give your site every possible advantage to get the search engine results pages (SERPs) in your favor and – at the very least – improve your conversion rates. Because the smart use of backlinks is a key metric to a successful organic SEO strategy, we’ll look at effective ways to build or earn them. In addition to improving the rank-worthiness of pages, backlinks also direct traffic back to your site when posted on a popular blog or online publication – increasing your organization’s visibility and credibility, thereby encouraging potential customers to visit. 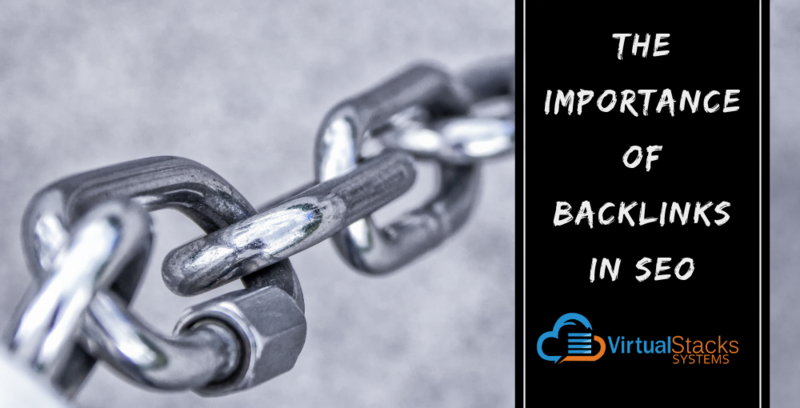 Backlinks are a different creature from internal links. Our March 12, 2018 blog post, “What is Internal Linking and How Does it Help SEO?” covers the importance of this practice in boosting SEO through linking to other pages on your own website. Beefing up your backlinks will make your SEO even more robust. How can I get high-quality backlinks to my website? So, put on your white hat and learn the ethical ways of getting backlinks that will make you and Sheriff Google happy. HostGator offers the following. Create high-quality content that’s relevant to your audience – When you produce high-quality content for your website, people with related content will be inclined to link back to your site. According to Christopher Benitez, writing for Monitor Backlinks, the better the content, the more shares and engagement it’ll get. This will inevitably increase its online reach and make it more likely to be indexed by Google (more on this later). Also, high-quality content will attract followers who can share your content on various social media platforms. Writing guest articles for top forums and blogs – This is an excellent way to expand your influence as a thought-leader, as well as organically acquire backlinks. Look for influencers in your industry – Ask them to review your products on their site (if applicable). Share your blog posts – Submit your posts on respected blogging communities, such as Medium, which has the look of a news site and will boost your credibility, as well as encourage backlinks. Use tools – Free tools – such as SEMrush, Open Site Explorer, Open Link Profiler and Ahrefs –allow you to review backlinks of your competitors and fine-tune your SEO strategy. Social bookmarking – Targeting social sharing sites like Twitter, Pinterest and Mix, etc., help you build up quality backlinks. Search Engine Journal offers a list. Getting backlinks in and of themselves isn’t enough. For Google to pay attention to your backlinks, they need to be indexed. This means the backlink will be acknowledged and added to Google’s database, which is the first step to ranking. How long this takes depends on several factors, says Benitez, but the typical timeframe is one to two weeks. Benitez also cautions against services claiming to deliver instant backlink indexing, because it doesn’t exist. Build your links for relevance. Build tier-two links (links that promote the content that contains the first-tier link). Submit to Google using the Google Search Console. As you’ve learned, earning quality backlinks that boost your website’s ranking takes hard work and dedication. Our social media and web development team at Virtual Stacks Systems can do the heavy lifting for your business. Contact us to learn more, and enjoy The Big Game!